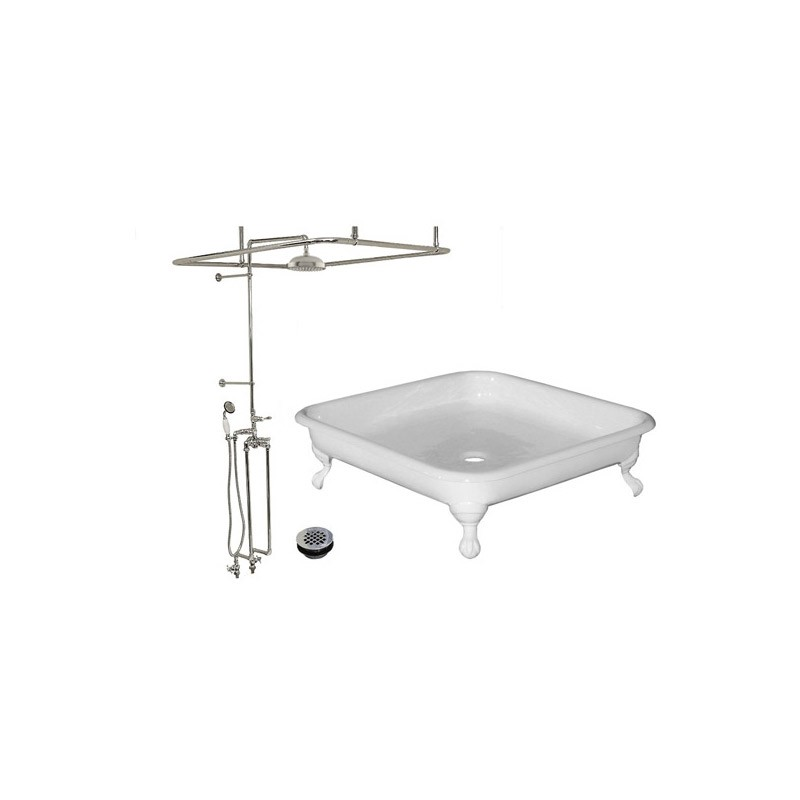 -42 inch Porcelain over Cast Iron Shower Pan with Clawfoot Legs. -42 inch Square Enclosure with three 36 inch Ceiling Braces. 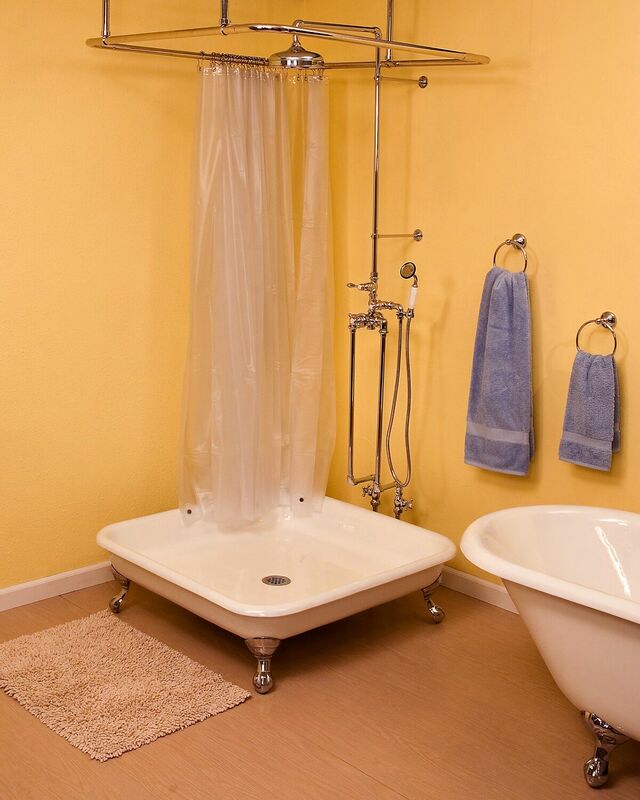 -Thermostatic Shower Set that includes Faucet, Supplies, Hand Held Shower, Riser, and Shower Head. Shower Pan Clawfoot Legs available in Painted White, Chrome, Lacquered Brass, Polished Nickel, or Matte Nickel. Shower Set Plumbing available in Chrome, Lacquered Brass, Polished Nickel, or Matte Nickel.